It's free to play, but oy, those in-app purchases. The co-op action RPG Dungeon Hunter 4 is making its way to Windows Phone 8 later this year. That's good because the platform isn't exactly overflowing with games. That's bad because the iOS version drowned in an embarrassing flood of microtransactions. Featuring an isometric perspective and playing a bit like a mobile Torchlight or Diablo, you take on the role of a warrior suffering from amnesia (just go with it) defending the kingdom from an invasion of demons. It supports four player online co-op, which is rare in the portable world, and offers some PvP modes in case you're in the mood for an additional challenge. But here's the bad news: in-app purchases. 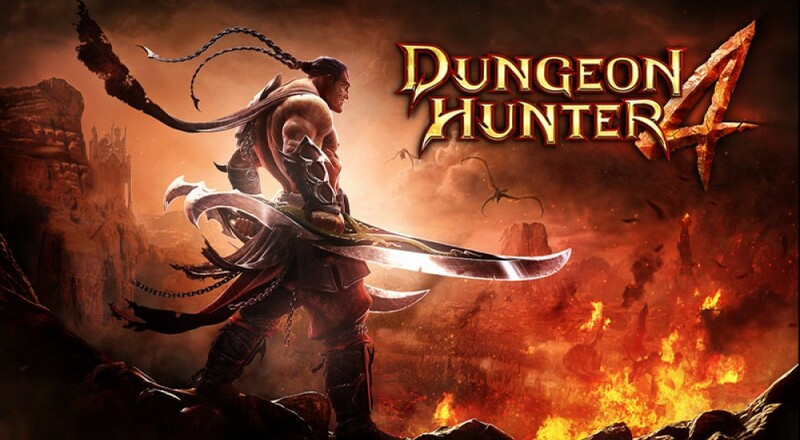 The iOS version of Dungeon Hunter 4 released earlier this year and, as far as graphics, gameplay and overall design were concerned, received a surprisingly good reception. Where things go wrong is the free to play model that completely breaks any semblance of gameplay balance in favor of spending real world cash. Don't want to actually hunt for items? Buy them right from your inventory screen. Want to use another healing potion but don't feel like waiting half a day? Pay up, bub. As you can probably guess, players got tired of that pretty quickly, leading to some harsh criticisms from internet denizens. If you don't mind the IAP nagging and are in the mood for some cooperative RPGing, Dungeon Hunter 4 is currently available on iOS devices and will hit Windows Phone 8 later this year. Co-op supports four players online. Page created in 0.9665 seconds.